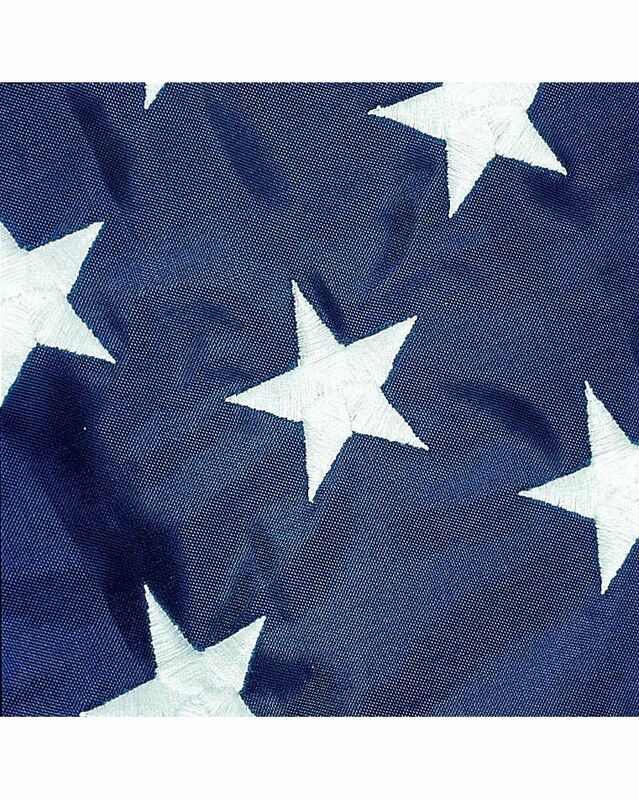 This 5 x 8 ft. Eco-Glory American flag is made of 100% recycled water/soda bottles. 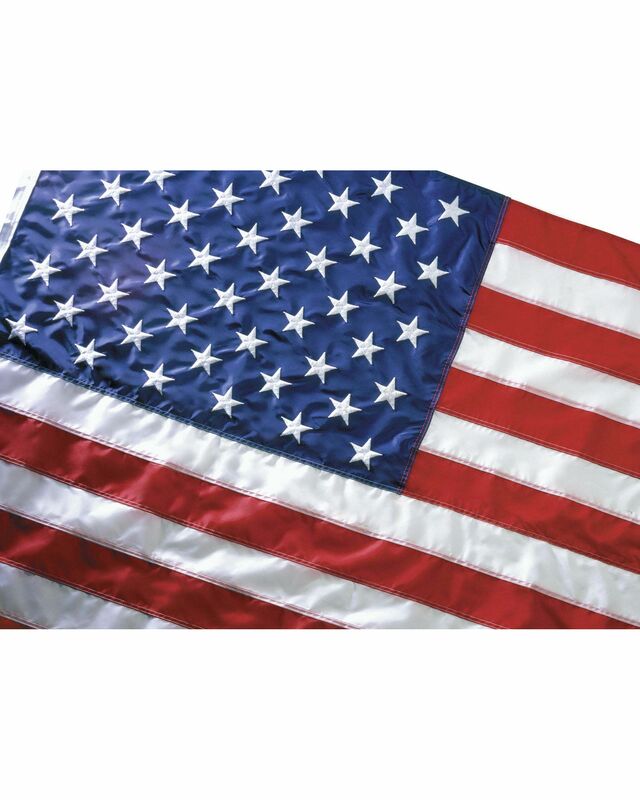 The yarn is created from the PET material and woven into a polyester fabric then dyed to red, white and blue fabric. 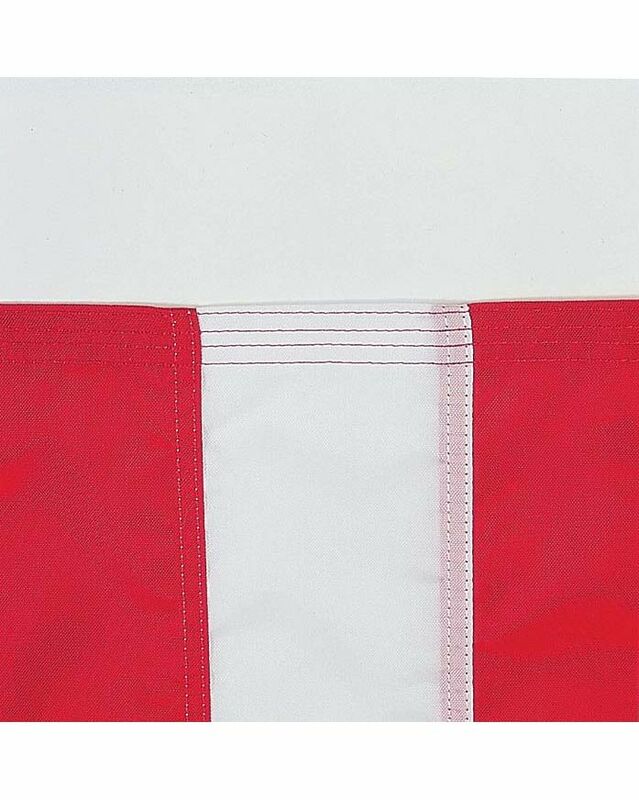 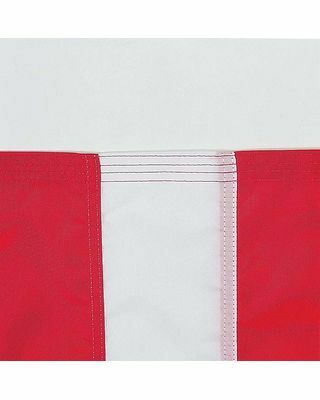 flag have embroidered white stars and sewn alternating red and white stripes, sewn with a premium quality extra-strength polyester thread, seams are double-stitched with back-stitch to reinforce the corners and four rows of lock stitching on fly end. 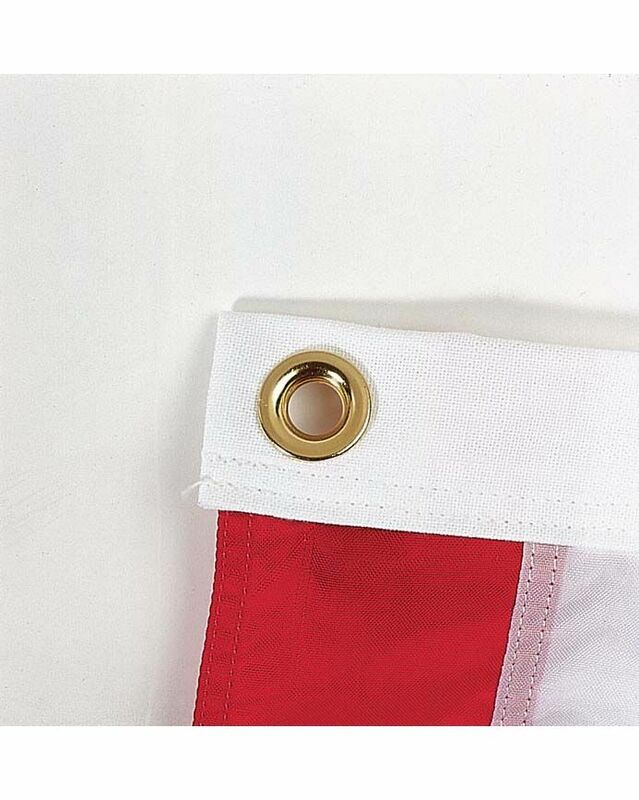 Finished with a heavy white canvas heading and solid brass #2 grommets. 100% Made in the U.S.A.